If you are interested in understanding more of the Deaf culture, visit this site. Am I deaf or hearing impaired? “How do I know if I’m hearing impaired or a deaf? Is there a cut off point which is ‘identified’ as deaf?” There is so much misunderstanding about deafness and this question came from the position that the term hearing impaired implies only slightly less than normal hearing. Do deaf people have a disability? Are there degrees of disablity? How do I feel about my deafness? Are deaf people disabled? Sometimes it's just too hard to communicate with hearing people. It's tiring and difficult and so we often withdraw. Rowena, a lady who has been hard of hearing from birth, tells how she took steps to avoid depression - with a surprising outcome. Bigotry is caused by misunderstanding and a failure to tolerate another person’s point of view. Some people seem to think that the way they think is right and everyone else isn’t entitled to be different. I find it sad that so many people will suffer because of hearing loss as they age. At a time when they are likely to become isolated from their communities and families due to a loss of mobility, at the same time they are becoming isolated because to their hearing loss. Cecile, a beautiful young french woman, was born deaf into a hearing family. She describes what it felt like to be different to everyone around - her struggles to just do normal things and to get an education. Social bluffing, especially in children, is not good because it can lull people (parents) into thinking you are understanding far more than you are. You miss vital information and miss out on wonderful conversation. It is in your best interests to break the social bluffing habit. Summarised from a presentation by Dr. Christopher Lind, Senior Lecturer in Audiology, Speech Pathology and Audiology Flinders University to BHA Adelaide Inc. members during Hearing Awareness Week 2012. Topic: "I'm sorry, would you repeat that?" - Observing how hearing loss affects every day talk. Hearing loss is often synonymous with loss of self-esteem because we lose our place in the world. We are already suffering from our hearing loss making our lives hard so it is important to manage our self-esteem to ensure we don’t slip into depression. One of the first things we lose as we go deaf is confidence. It is fear of rejection, because we might make a fool of ourselves which is the main cause. But there is no need to passively accept it. You can take steps to improve your confidence. We all know that listening is the best way to create understanding. When you are down, if you have a friend you can talk to about your problems this simple act of having someone listen often takes away the stress. Like any culture (or sub-culture) there are ‘in jokes’ and there is plenty of deaf humour around which play on the differences between hearing and deafness. Through humour we can laugh at ourselves and be laughed at without being ridiculed. I meet many people and they often say to me I am ‘lucky’ because I lost my hearing and not my vision. They tell me it would be far easier to live with deafness than blindness. I’ve often wondered why they should think this when the issues of being deaf are complex. Being deaf and being Deaf are two different things in our society. When a person goes deaf in later life - where do they fit? If they have their hearing restored through technology are they deaf or hearing? There are not only no visible signs of deafness, but because deaf people cannot easily participate they often become hidden and this leads to social isolation. Deafness brings mis-understanding, alienation and language barriers. It's a lot like moving to a foreign country. Deafness doesn’t just affect the person who is deaf. It has a profound effect upon all those people we love. Spouses particularly have to develop a level of understanding. Bullying makes the news these days – probably because social media makes it easy to record and share these experiences. But bullying is not new, especially for the Deaf. 'You don't sound deaf!' A surprised comment from many people I come across. This article looks at what 'sounding deaf' means. Mishearing occurs for both deaf and hearing people and often both feel embarassment. But there are so many times this happens for deaf and hard of hearing people that it builds to a feeling of inadequacy. Everyone mispronounces words occasionally, but those with a hearing loss find many more occasions to mispronounce simply because we may never have heard a word spoken. Not knowing pronunciation makes lip reading harder and is one of many reasons late deafened people withdraw from social contact. How do you cope with your world when you can no longer hear the way you used to? Deafness provides many challenges you need to face just to keep safe in your world. Deafness costs money. There are devices needed to help hear but a recent report found the real costs are in loss of productivity. But some things can't be costed - like the loss of quality of life. Early intervention has shown to improve this. Nagging someone about their inability to hear generally does not help and often has the opposite effect. It does not get the person to take a hearing test if they have a loss. When deafness strikes later in life it is hard, however the impact of deafness is not just felt by the person who has lost their hearing because family members and friends often suffer. Hearing impairment, an increasing problem in our aging population causes a breakdown in communication and is a disability hidden in full view. We need to understand more about deafness. Depression and isolation can lead to paranoia for late deafened adults. It creeps up and is the result of mis-understanding social cues. Deafness is not very well understood by the general public and is a very isolating issue to have. Do we deaf talk too much? Incessant talking is a coping mechanism often used by the deaf so they don't have to listen. Do we hear with our ears? Is thinking the same as hearing? Do we hear our own thoughts? And do we really hear tinniuts? Deafness isolates us from important social and conversational experiences which are not easily caught up in other ways. I have so many skills and accomplishments, so why does deafness make me feel inadequate? When you have lost your hearing focussing on what you can do and not what you can't may be the answer to accepting the limitations with technology. Going deaf - where to start? Preparing for a deaf future is confronting. So often we focus on what we have lost. By understanding the new challenges we face and how we can get around some of them makes it easier to cope. Someone who has a gradual hearing loss goes through many stages and these are some of the characteristics. Sound gradually fades when deafness creeps upon us. Most of the time we don’t recognise what we are missing but then one day we are startled when remember we haven’t heard something for a long time. Even though, we shouldn’t we deafened adults find plenty of things to feel guilty for. Someone who has had hearing and gone deaf later in life is more likely to have poor health than their hearing counterparts, particularly in relation to mental health. Why do deaf people shout? Why do people shout at deaf people? Why does speech deteriorate along with hearing loss? Of course the obvious answer is that we no longer hear own voice. But there is more to it than that. When someone starts to go deaf, losing music is probably not their first concern. In fact, many will naturally stop listening to music until one day the recognise how much they have missed. Are there some situations where you feel you are not hearing as well as you should? Here’s a self-evaluation which may help you decide whether to seek professional help and have your hearing checked. Deafness doesn’t just affect our hearing, it, among other things, also affects our speech. Many deaf people have never heard their own voice and those of us who went deaf later in life have forgotten what our voice sounds like. Hearing is listening isn’t it? Well not exactly. We can hear and listen at the same time but it is possible to hear and not listen. There are three aspects to hearing but only two for effective communication. Interestingly while the hearing process can help understanding it doesn’t necessarily mean you listen effectively. Isolation is not a solution to avoid communication. Ask people (your family) how they would like to communicate with you. Help your family to know how best to attract your attention. It is a learning process for everyone and patience is needed by all of us. "Sticks and stones can break my bones, but words can never hurt me". I know it’s intended to teach children not to listen, to take the sting out of someone calling them names, but we all know that names stigmatise and never more those who have some kind of disability or difference. Deafness changes our lives, forces us into new directions and often creates in us innovative solutions just to get through the day. We all have needs that help us live a happy and fulfilling life. If any, some or all of these needs aren’t met then depression is often a result. Deafness impacts on all areas and we need to understand how. The way you respond to your hearing loss will depend on your stage of life, your personality, the way you deal with set-backs and your support group; family, friends, colleagues. It is an individual response and not everyone is affected, nor deals with the changes in the same way. Imagine waking up one morning and being deaf. Or perhaps having an accident and suddenly you can’t hear. Going deaf suddenly is a life changing experience. I didn’t understand bi-lateral hearing. Before I had my 2nd cochlear implant I read all the brochures and asked other bi-lateral recipients to explain what the differences were between hearing with one ear and hearing with two ears. Most couldn’t easily articulate the differences but all said it was ‘better’. What did ‘better’ mean? Age-related deafness is gradual, often slow and at first not even noticed. Family, friends and work colleagues are usually the first to notice a difference. Imagine being deaf for just one day. How would you cope? What would you miss? Wouldn't you do everything you could to turn your world back on? Most of us have been subjected to the insensitivity of others because we didn’t hear them speak to us. But what if it is your family? Is deafness a disability? If so how is it manifest? and if not why not? My personal journey was hard. Being positive was not always easy but I discovered it was up to me - I had to keep hope alive that things could improve. This article looks at some of the ways I did it. Our senses are the way we interact with the world and if we lose one, to some degree our other senses take over to help us cope. Why is it so? Hearing people take noise granted and often tell us they find sound annoying. But deafened people, particularly those deafened after they have had hearing, miss noise – even the noise hearing people choose to ignore. For those who have regained hearing - Noise is Beautiful. Not much of us give a thought to ‘Overhearing’. By this I don’t mean eavesdropping but rather hearing parts of conversations which friends, family or colleagues are having around us. I wondered why we all love listening to or reading personal hearing loss stories. What is it about these stories which inspire us? Some people say that they are more afraid of speaking in public than death. Yet public speaking can also help people (including hearing-impaired people) communicate better with others. Recognising the effort and changes that hearing people need to make when someone goes gradually deaf can help with communication. I read a blog recently, from someone who went suddenly deaf. He talked about having just had a root canal filling - in silence. And this got me thinking. So many sounds elude me in the mornings. What is social bluffing? It simply means we make out we’ve heard. We sit in a group with a polite smile fixed on our face and smile. It’s the ‘I hope I’m smiling the right smile for this conversation’ smile. What sounds would you miss the most if you went deaf? Or what sounds do you miss the most now that you are deaf? Accepting our loss we can minimise the emotional toll on ourselves and put us one more back in control regaining some of the independence we feel we had lost. Hearing loss impacts on individuals, their families, friends and colleagues. But hearing loss also has an impact on the wider community. Communication is the very basis of our existence. Without communication we cannot interact with our peers, we cannot learn language and at a very basic level we cannot even think. 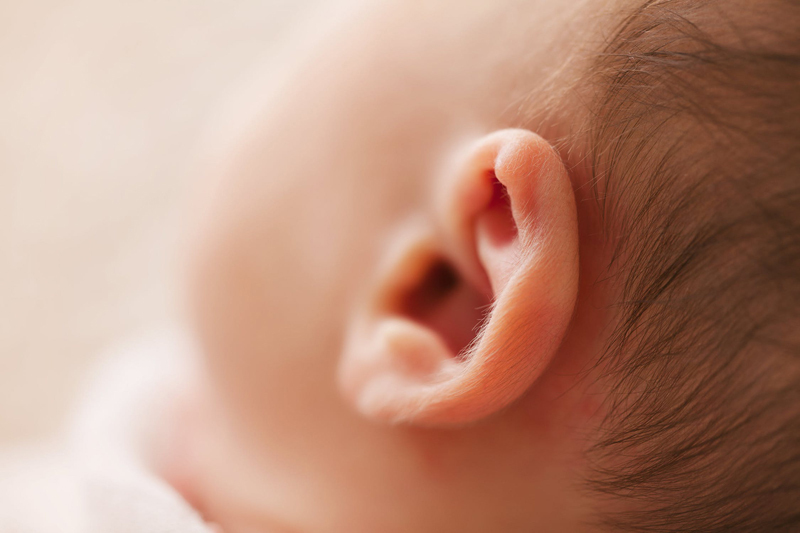 Why does hearing sound bring us joy? The joy in hearing is more than just the opposite of the pain of not hearing. The joy of hearing is more subtle and refined. One of the things I hated, when I was deaf, was when a friend would say "hey have you heard this story it was so funny". Too often I missed the humour and especially the punch line. I thought I knew how to hear with both ears... I am already experiencing a whole new world of bilateral hearing something I thought was not possible. Having my first cochlear implant was great, and now having my second cochlear implant has opened up my world even further and I am loving it. Hearing loss is becoming more prevalent as we invent more and more ways to ‘abuse’ our hearing in this noisy world. So there are some things you should know about a hearing loss. For those of us who have experienced late on-set deafness our lives have been turned upside down. Everything familiar has become strange because we can no longer interpret the world as we know it and we don’t know where we fit. At the 5th Australian National Deafness Summit in Canberra during May 2008 I was astounded to hear some of the statistics on the increase in prevelance of deafness. While the statistics I quote are for the Australian market they apply to all markets. What's it like to get your hearing back? What’s it like to go deaf? I was born to hear. I learned language at my mother’s knee and attended main stream schools. I had everything going for me and deafness didn't even enter into it. The sense of loss was enormous and I almost lost myself. Why is Deafness so isolating? When communication difficulties exist human interaction stops and without human interaction we feel alone. Most people take their ears for granted. After all you were born with them and just like our eyes or mouth your hearing ability developed without you even thinking about it. Most of us never stop to consider what it would be like if our hearing stopped working.